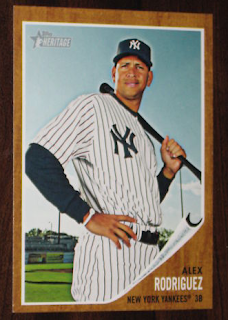 All About Sports Cards: Mysterious ARod 2011 Topps Heritage Card Surfaces on eBay. Mysterious ARod 2011 Topps Heritage Card Surfaces on eBay. 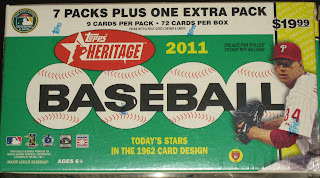 We just did a box break of Heritage blaster and pulled 3 High Numbered Short Prints. 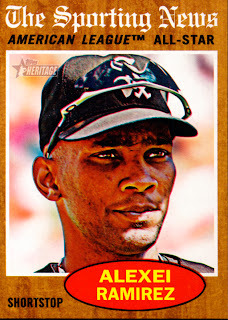 It was not the bid amount that made me take a pause, its was this. Let me put these side by side for you. 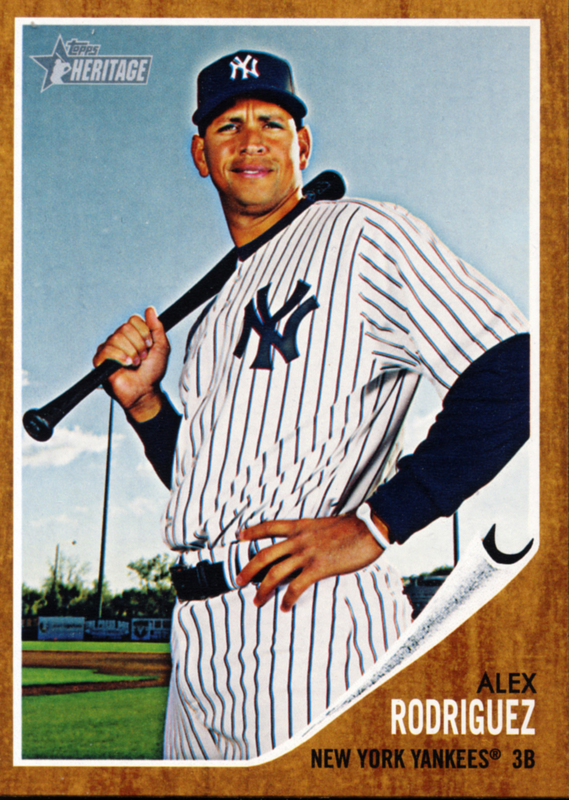 ARod is flipped but the Yankee logos are not. Have we stumbled across a super short print or an additional short print error card? 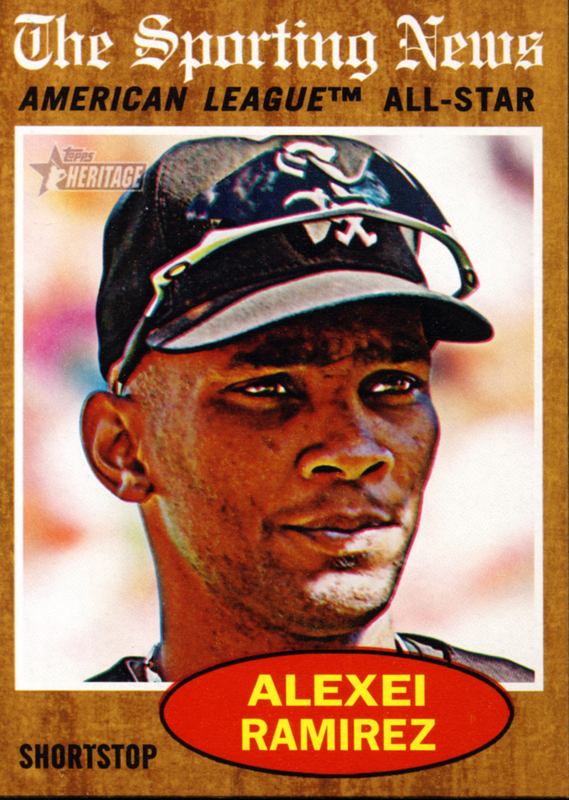 Here is a portion of the back of the card. and the 1962 Boyer next to the 1961 Boyer. The 1962 Boyer was never corrected. 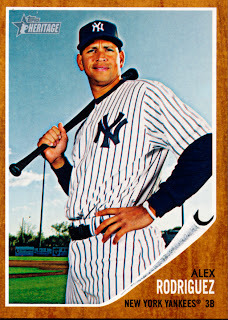 But this still doesn't answer how many of the lefty ARod cards there are compared to the Non-error righty Short Prints. 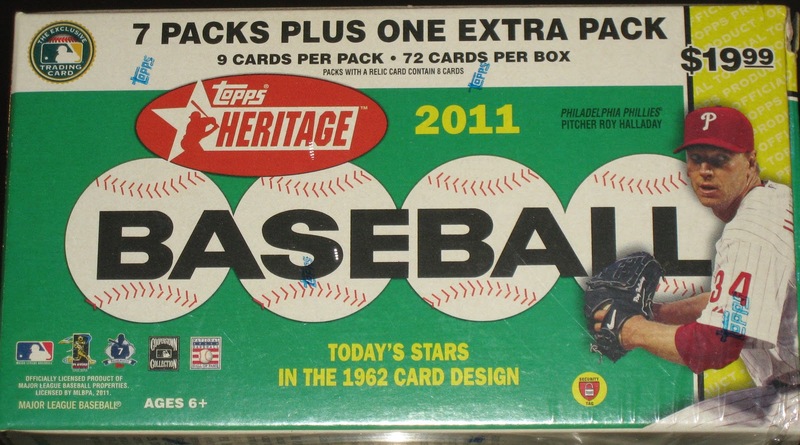 I'm still waiting to hear back from Topps. I'll let you know what they have to say. 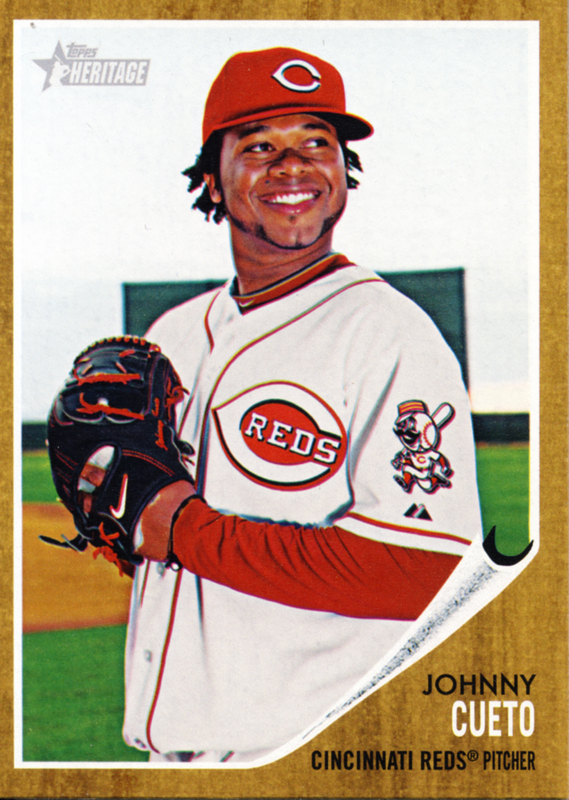 Looks like a reverse negative shot to me...if you notice above the peel on each card it shows the non-peeled side of the other card. 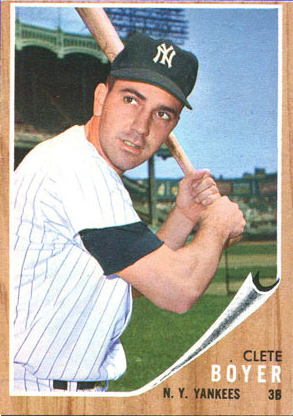 I don't think there were any reverse negatives in the 1962 set or with #490 Clete Boyer, but I could be wrong. Interesting. I'll be sure to stay tuned for an answer. Is it possible the seller took a pre-release photo from Topps that was then changed on the actual product? Who has access to preview/sell sheet images? 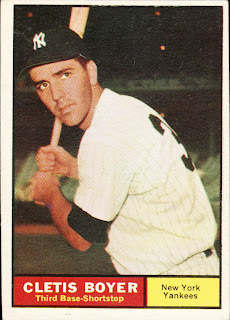 Hmmm...1962 Topps, same card #, same team, same position. Coincidence? I think not!